I'm all about lipsticks when it comes to make up and my bestie always gets me the best lipsticks cos she's a makeup addict lol. 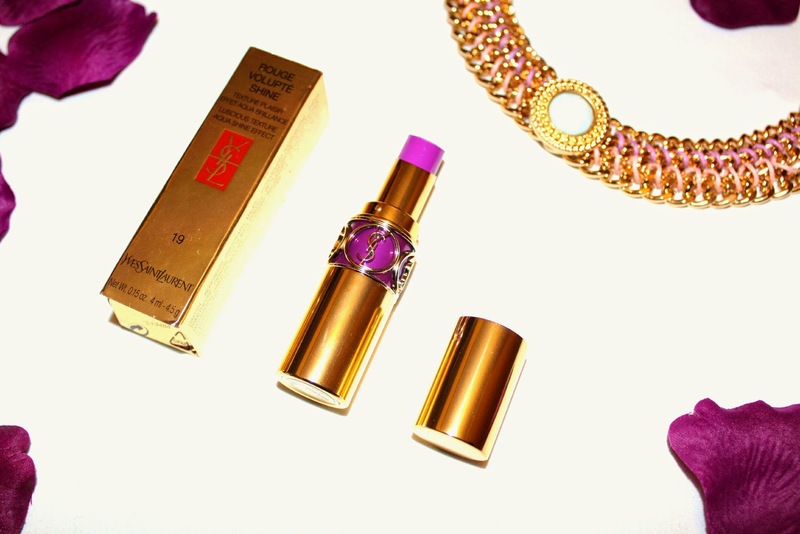 This YSL rouge volupte shine lipstick in fuchsia rage (19) is my absolute fave at the moment!! I'm probably late to the party cos I always get into things way later than everyone else but I absolutely love it. I've had it for a while and only just started using it...don't ask me why lol. 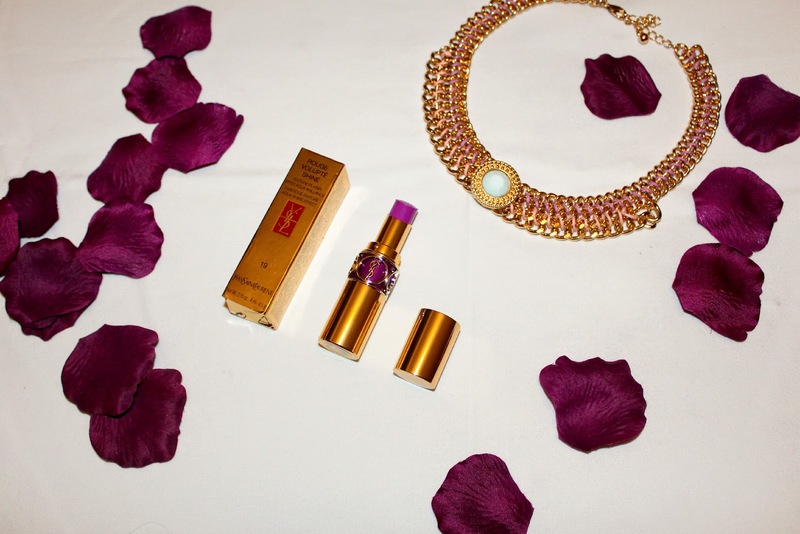 The colour is a perfect fuchsia almost purple like and the gold packaging is just luxe and gorgeous! I'm normally a matte lippie girl but in this case I'll make an exception. I love how glossy and moisturising it is so I don't have to worry about my lips drying up. 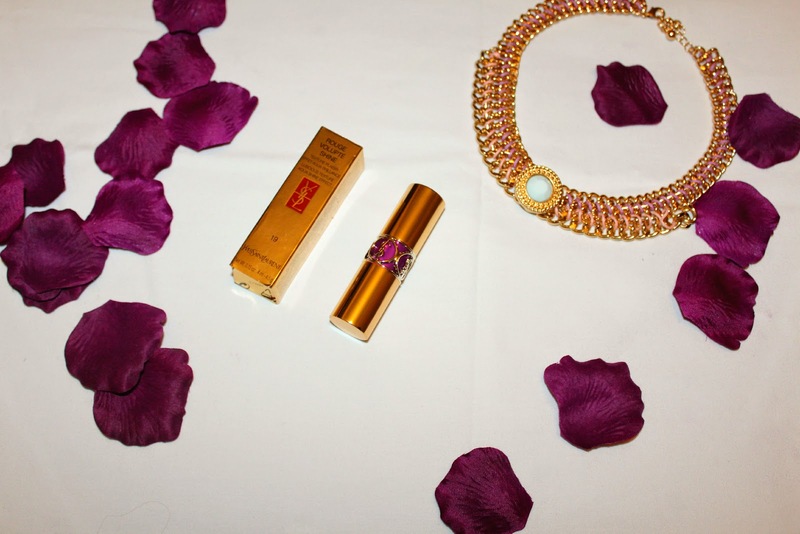 The price for these YSL rouge volupte shine lipsticks is a bit steep but I think they're definitely worth it. Because it's so pigmented you don't have to apply a lot of it so it will last a while and you'll get your money's worth. 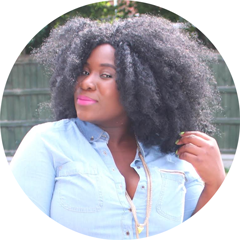 I wore the lipstick in my Spring inspired outfit post and also in a selfie I posted on Instagram. 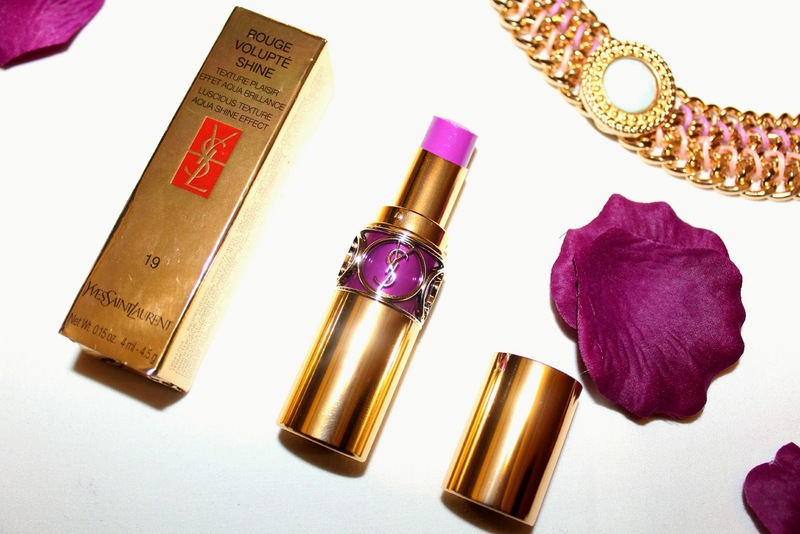 Have any of you tried the YSL Rouge Volupte Shine Lipsticks before? lovely. I have a pink one and I love it! 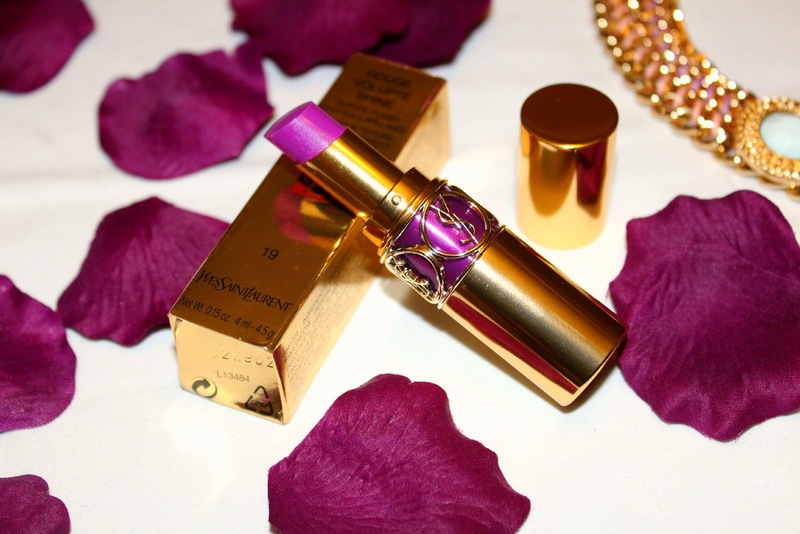 YSL lipstick are sooooooo amazing !